Film lovers on the Isle of Tiree have taken social media by storm after they recreated the opening scene to Trainspotting. The 45-second tribute was screened before Trainspotting T2 was shown at Screen Tiree in front of around 20 people. However, since sharing the short film on social media, it has been viewed more than 9,250 times. And it even received a mention from Irvine Welsh – author of the Trainspotting books, who said ‘Love it’ on Twitter. The film features Derek Campbell as Renton, Jo Vale, Mairi Forbes and Forrest Lockhart. 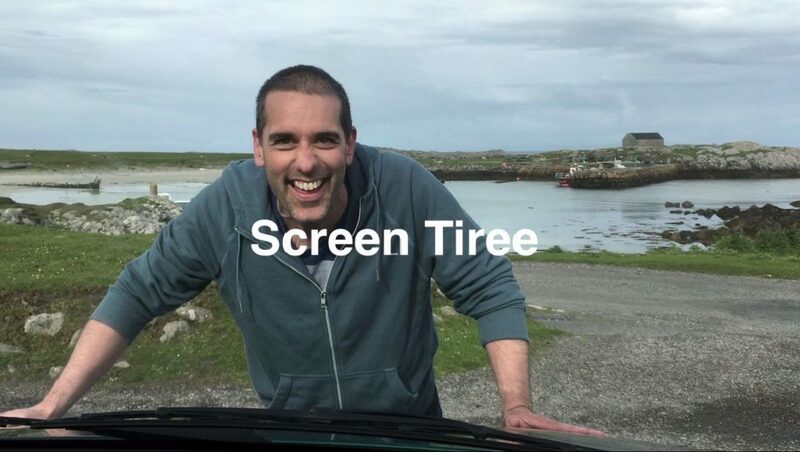 ‘We made a tribute to Trainspotting swapping Edinburgh’s Princes Street for the roads of Scarinish on the Isle of Tiree,’ said Jack Lockhart, who shot and uploaded the video to social media. ‘The famous “choose life” poem used in the film was changed to sum up island life. ‘Instead of choosing leisure wear and matching luggage we chose gale force winds, wellies and a fleece. ‘Making the film was great fun and made with no budget in a couple of hours on a grey Sunday afternoon after some coffee and biscuits. Search Screen Tiree on social media to keep up to date with future events.